Runes are divination tool that help you to connect to your higher self or sub-conscious mind to get the answers you seek. 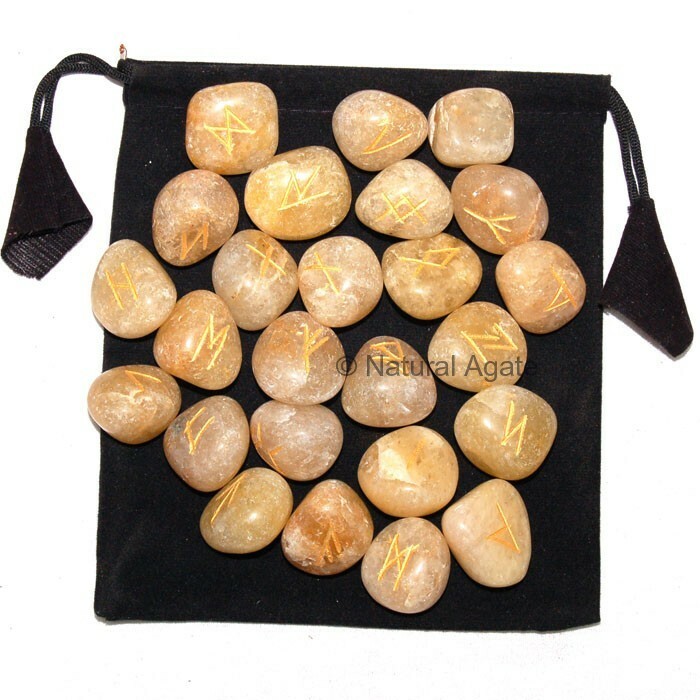 Golden Quartz Rune set keeps your mind clear and stable. It attracts spiritual energy. You can avail this set from Natural agate.